TO START, I encourage anyone starting turboshafts to NEVER take on the endeavor of building a 10.5 meter long, 30 ton monster machine. I spent over 12 hours straight ironing out the kinks(don’t worry I have a life) and perfecting my design to be my best ever. I even had to reinforce the specially designed driveshaft to be able to handle the massive torque produced by the engine. Ironically it still doesn’t perform quite as well as Azimech’s smaller and less complex Curious Chakora V2. That Being said, this thing is ridiculous. 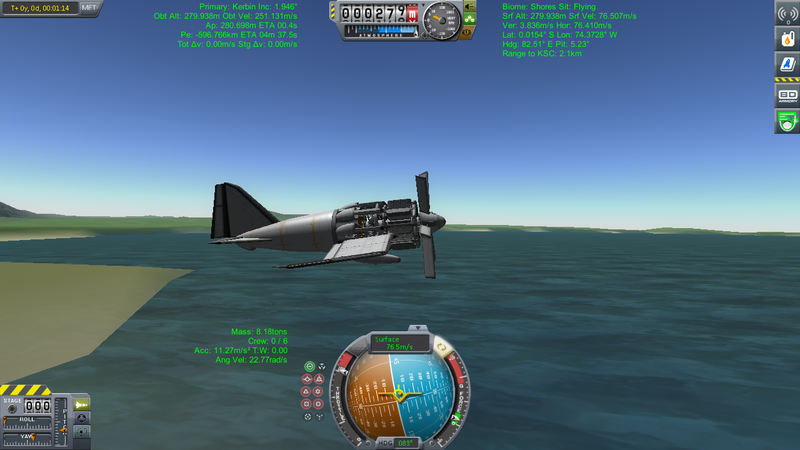 I have nicknamed the engine itself the Kycoming XR-7755-K, after the largest(by displacement) radial piston engine ever build and the airframe is based off both the Gee Bee and Vought F4U Corsair. 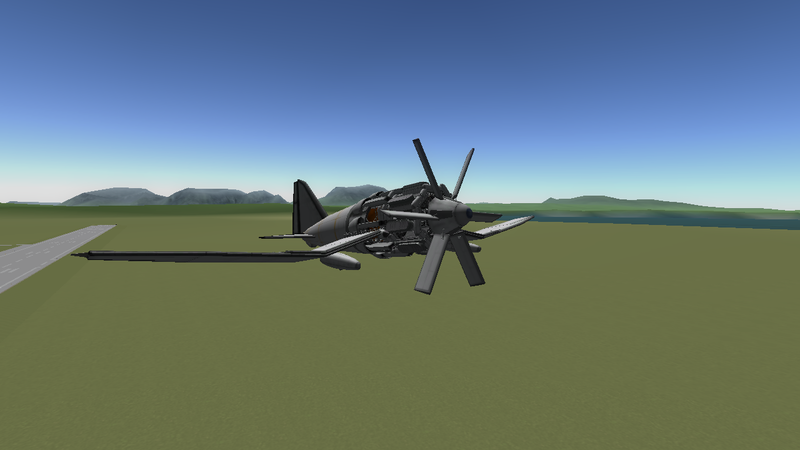 Much less complex Turboshaft’s can easily be built in under 2 hours and less than 300 parts, but I wanted a extremely high power output engine capable of lifting my biggest and heaviest airframes. So here she is. Takeoff under stock aerodynamics is possible but it is highly recommended to set the Global Drag Multiplier slider to zero. 80% reliably but explosive engine failure is possible, nose down and put gear out for emergency landing. I also recommend modifying your KSP to remove the smoke trails left by all 64 Juno’s for greatly increased performance, like I did. Each cylinder has its own fuel tank so fuel will drain evenly. When you eventually run out of gas there wont be any crazy vibrations or rapid disassembly from unintentional differential thrust on the giant driveshaft.